On 24th December, 2016 IEEE AIUB Student Branch organized IEEE R10 S-PAVe 2016 at room 266, Faculty of Engineering, AIUB. SPAVe stands for Student Professional Awareness Venture. S-PAVe took place for the first time in the history of IEEE Bangladesh Section. This venture was supported by IEEE, IEEE USA, IEEE R10, IEEE Bangladesh Section. This venture was constructed with two workshop and 2 seminars and a competition/interactive training session. The Day long venture was initiated with the opening remarks of Dr. M. Tanseer Ali, Counselor, IEEE AIUB Student Branch; Assistant Professor, Faculty of Engineering, AIUB. Followed by that the first session “Roadmap to become an Educationist, Researcher or Scholar” began with speaker Prof. Dr. A.B.M. 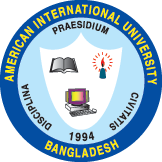 Siddique Hossain, Dean, Faculty of Engineering, AIUB; Ex-Chair, IEEE Bangladesh Section. During the session he talked about 4 pillars of learning effectively. He focused on the need of improvement in the education system. In his speech he discussed how a person can be researcher from any background of society. At the end of the session Dr. M. Tanseer Ali handover crest and gave the token of appreciation to the speaker. Followed by that, “Workshop on IEEE ResumeLab and How to write a Modern-Day CV/Resume” started with 1st speaker of that session Mr. Syed Taher Ahmed, Director, HR consultant & career Coach, ECD; Former HR Manager, ACI Logistic Ltd; Consultant for earning & Development, EMC. Through his session he showed participants how to write a modern resume in details. Then 2nd speaker of that session Mr. Nasim Al Islam, Teaching Assistant, Faculty of Engineering, AIUB; Treasurer, IEEE Young Professionals Affinity Group, IEEE Bangladesh Section; took stage. He exhibited, how an IEEE member can make the best use of IEEE ResumeLab to make his/her resume. At the end of the session Mr. Nafiz Ahmed Chisty, Professional Activity Coordinator, IEEE Bangladesh Section; Senior Assistant Professor, Faculty of Engineering, AIUB; handover crest and gave the token of appreciation to the speakers. After that, “Workshop on Professional Communication & Presentation Skills Development” commenced with speech of Mr. Abdul Hasib Siddique, Assistant Researcher, The petroleum Institute University & Research Center, UAE; Former Lecturer, Faculty of Engineering, AIUB. Over this workshop he talked about types of communication, role of listening in a great conversation. He discussed about verbal and non-verbal communication and communication in a respective manner. Then he demonstrated how to make attractive and effective presentation slides. He shared some valuable presentation tips with participants. At the end of the session Mr. Mustafa Chowdhury, Assistant Professor, Dept. of EEE, IUB; Councilor, IUB IEEE Student Branch; handover crest and gave the token of appreciation to the speaker. Following this, “Seminar on product Development and How to Introduce your prototype to Market/Industry” instigated with 1st speaker Mr. Adnan Imtiaz Halim, CEO SHEBA.XYZ; Former Head of Business Development; Radio Access Network, Augere Wireless Broadband Bangladesh Ltd; Former IT Supervisor, Nokia Networks. He explained full process of production system and how to develop product potential buyers. Right after that 2nd speaker Mr. M S Siddique, Former President, Rotary Club of Dhaka; CEO, Bangla Chemical; Adjunct Professor, DIU; Director, International Business Forum of Bangladesh; gave speech on how to connect and approach to client with product. At the end of the session Mr. Nafiz Ahmed Chisty, handover crest and gave the token of appreciation to the speakers. After that, “Interactive Panel Training Through Mock Interviews/Proposals” initiated with 4 judges; Dr. M. Tanseer Ali, Mr. Nafiz Ahmed Chisty, Mr. Atiqur Rahman; Head of HR; Admin, Rahimafrooz Distribution Ltd; Former Vice President of HR Operations, Citibank; Former Senior Exec, Robi Axiata Ltd; and Mr. Md. Ilmul Haque, COO SHEBA.XYZ; Head of Gateway Operation, Summit Communications Ltd; Former RF Engineer, Motorola Inc.; Former Senior System Engineer, Grameenphone Ltd; Former Telecom Engineer Communication Solution Ltd. In this session participants were divide in several team and every team were asked to develop a product idea and make a budget proposal and submit that proposal through presentation. All team prepared their product idea and presented their proposal to judges. Judges guided percipients on how to present their in more persuasive way. At the end judges announced 1st 2nd and 3rd placed team. Participants got to implement what they learned in this venture in this session. At the end of the session Dr. M. Tanseer Ali, handover crest and gave the token of appreciation to Mr. Atiqur Rahman and Mr. Md. Ilmul Haque. Followed by Prof. Dr. Md. Abdur Rahman, Director, Faculty of Engineering, AIUB; Educational Activity Coordinator, IEEE Bangladesh Section; gave prize to winning teams. In this venture a special parallel session on “A Career in Robotics and Automation” took place in room 265, Faculty of Engineering, AIUB. The session was originated with opening remarks of Mr. Nafiz Ahmed Chisty. The guest speaker of this event was Mr. Mohammad Sharif, Senior Application Engineer, Marketing Manager & Migration Software Dev Lead, Schneider Electric Industrial Services, USA; Former Managing Director, owner & Business Development Manager, Factory Automation Ltd, USA; Former Automation Engineer, Siemens Energy & Automation, USA. This session was mainly focused on the career opportunities in automation industries and a very brief idea about automation engineering. The session ended with the closing speech of Prof. Dr. Md. Abdur Rahman. After that Prof. Dr. Md. Abdur Rahman gave crest and token of appreciation to the guest speaker. Venture was concluded as Prof. Dr. Md. Abdur Rahman delivered his closing speech and Dr. M. Tanseer Ali handover crest to Prof. Dr. Md. Abdur Rahman, Chowdhury Akram Hossain, Senior Assistant Professor, Faculty of Engineering, AIUB; Advisor, IEEE AIUB Student Branch; Student Activity Coordinator, IEEE Bangladesh Section and Mr. Nafiz Ahmed Chisty and Kazi Ahmed Asif Fuad, Motivator , IEEE AIUB Student Branch; Lecturer, Faculty of Engineering, AIUB ; Publicity Coordinator, IEEE Bangladesh Section and Prof. Dr. Md. Abdur Rahman gave crest to Mr. Nafiz Ahmed Chisty. The venture started at 9.00 A.M. and concluded at 6.00 P.M. In the interval of these session there was networking session for participants where get to build network among them and Professionals from Industries and Speakers. More than 50 participants attended this venture. Participants were satisfied to attend this venture and most of them gained completely new experience. They hope skills that they gain from this venture, will help them a lot in the future.